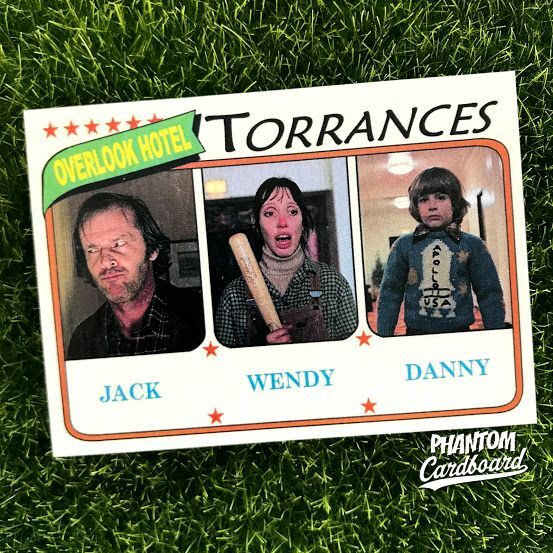 The idea for this card started with the Wendy Torrance card. This was a character I thought of when I was thinking of movie characters that used baseball bats ... just not for baseball. 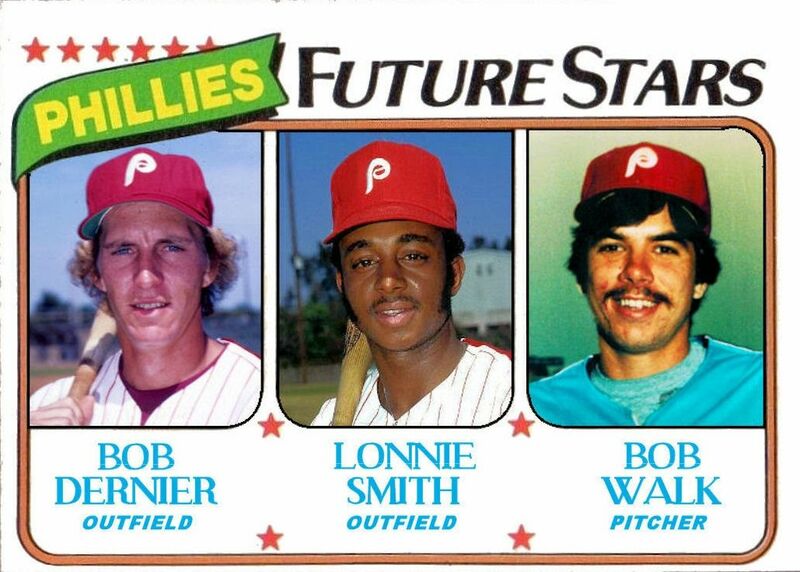 That idea also spawned this card, and this card, and this one too. I originally made a stand alone card of Wendy Torrance in a 1980 Topps baseball inspired design -- the year The Shining was released. But, I couldn't just really stop at Wendy, there would need to be a Jack too, or what would even be the point? 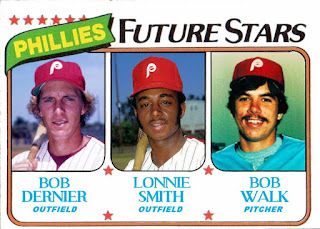 Then I got the idea why not put all three of the Torrance family members on one card in a design that mimics the Future Stars subset!